Well, well, well readers......It appears that Tribe (that infamous Trinidad Carnival Band) is set to make an appearance here in the Tdot!!! Toronto, ON – Monday January 11, 2009 - Every summer thousands gather to celebrate Toronto’s Caribbean Carnival (CARIBANA) festivities. To no surprise 2010 is shaping up to offer the most illustrious surprise yet. As if the multitude of upcoming festival events was not enough to stir excitement, a long awaited band will be making its first ever appearance down the Lakeshore. The Trinidad Mas band known as TRIBE has announced its grand entrance into the festivities for CARIBANA 2010. Bringing their inimitable Carnival experience from the streets of Trinidad, TRIBE challenges Toronto to envision a Carnival which redefines the possibilities and offers the unexpected. From prestigious parties, flavorful concerts and luscious costumes, TRIBE has come to reshape the very essence of CARIBANA. Although launch dates have yet to be released, the anticipation is in the air. Accepted worldwide as one of the most prominent Mas bands, the ‘TRIBE experience’ remains one to be rivaled. There is no question as to why TRIBE is such a hot commodity during the Trinidad Carnival season, selling out each year and leaving many hopefuls on extended wait-lists. The TRIBE family prides itself on offering nothing less than a "total experience". Placing the masquerader as their first priority, each costume is professionally tailored and made to custom fit the individual. Adding to the excitement, are the enticing and almost majestic themes envisioned year after year; 2008 ‘Myths and Magic’, 2009 ‘Birds of a Feather’, and arguably the most sensual thus far, 2010’s ‘The Secret of Silk’. It is difficult to truly comprehend all that is TRIBE without firsthand indulgence! Luckily, Toronto will have its chance during CARIBANA 2010. The architects behind the Toronto launch are management team members Andre De Freitas, Aneil Persad and Michelle Persad. For more information and sponsorship opportunities regarding Toronto’s 2010 TRIBE experience, contact Aneil Persad at 647-295-5453. To join TRIBE contact Andre Defreitas 416-660-9154, Aneil Persad 647-295-5453 or fax 905 683 9034. Recognizing that all things are made possible through the generous support of their sponsors, TRIBE graciously acknowledges Toronto-Lime.com, CCSI, Ventures Car Rentals, IAC Printing, Commercial Lift Truck Ltd., Speedy Pickering and King Precision Welding. I notice that Andre Defreitas is a part of this venture....not sure what that means for All Spice Carnival though since he was a member of that team last year. 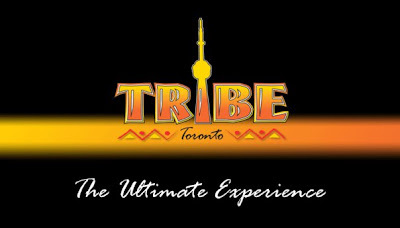 So what will the Tribe Toronto Ultimate Experience mean for Caribana 2010? Will registration in our other bands suffer as masqueraders flock to the Tribe brand? Will Tribe attract a whole new masquerader both local and foreign who has never played mas for Caribana? What kind of costumes are we going to see......Trinidad Carnival recyclables or a whole new presentation altogether? If its a new presentation will the designs be done locally or by Tribe's Trinidad designers? As a new band, Tribe Toronto may be in the dreaded "last position" on the parade road route.....will this deter potential masqueraders??? We shall see.....exciting times ahead for Caribana 2010!!!! is this band allspice 2009? someting funny going on here! check trinidadcarnivaldiary.com "New Year New Beginnings" Looks like the opposite, as ALL SPICE is now with Louis Saldenah, and looks like Andre started his own venture. As I hear and see Curtis only getting Kicked out of bands from 1) Carnival Nationz = stealing money 2) ALL SPICE = Stol money from Andre i hear and didnt deliver costumes to the customer and now look he now a section leader in another band. He def deserves a next bottle yes.